This fine red brick Victorian building is a landmark at the bottom of Back Hamlet on the edge of Ipswich's vast docklands regeneration programme. Beside it is the massive bulk of Johns, Slater Haward's Suffolk College of 1961, so this is by no means a back street church. The east side of central Ipswich has fallen on difficult times in the last few decades, but all that is being put behind as the blocks of apartments rise on the quayside. One of the biggest, Neptune Marina, sits across the Duke Street roundabout, and University College Suffolk's curved glass headquarters is rising beside it as I write. 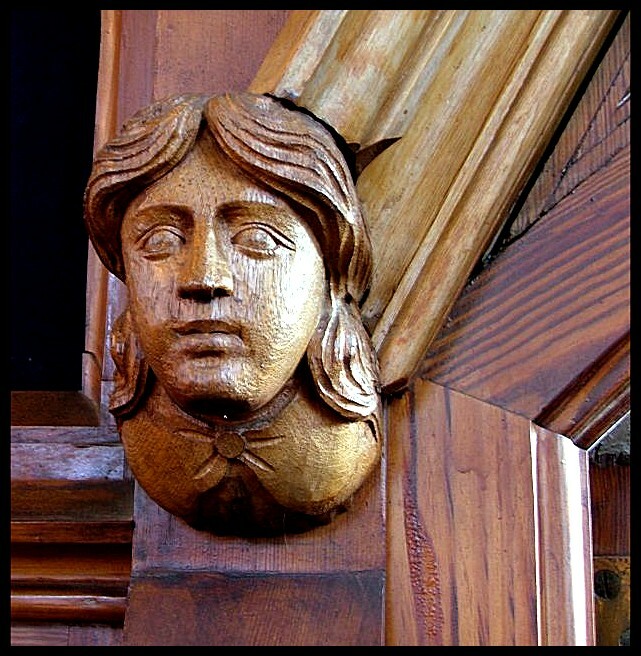 Some people might find it curious that a Congregational church should have a Saint's name as a dedication. In fact, St Clement's is the name of this part of Ipswich. The secular-minded Borough Council has recently changed the name of the ward to Alexandra, after the park on the hill above the church, but nobody is fooled, and St Clement's it still is to those who live here. The name comes, in turn, from the ancient parish church of St Clement, redundant now for more than thirty years and marooned on an island in the docklands one-way system. 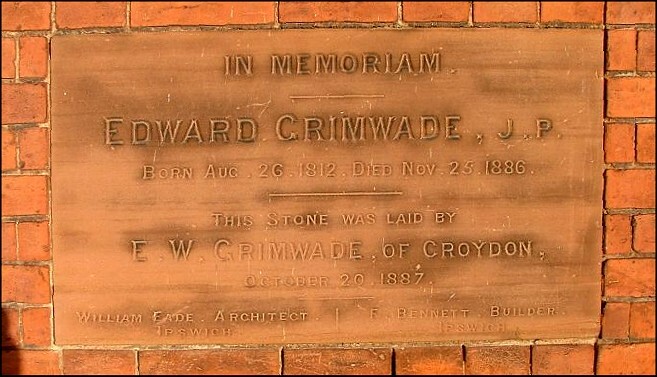 St Clement's Congregational church is associated with one of the most famous Ipswich names, Grimwade. The Grimwades were a prosperous retail family with a large department store on the Cornhill and their fingers in a number of other pies. As is common with the urban capitalist families of East Anglia, they were dissenters - the offices on the top floor of the store were given over to the National Protestant League, who had a proud signage on to the Cornhill. 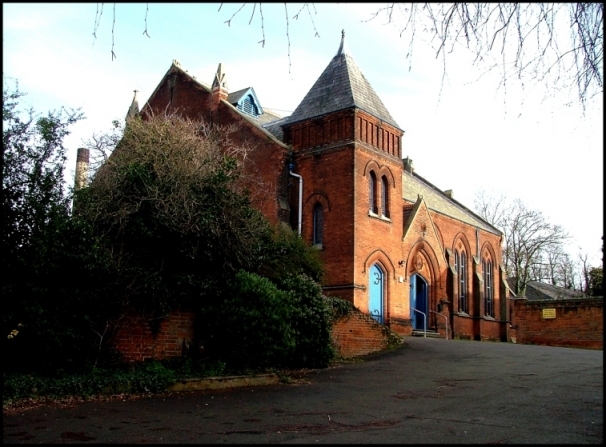 In the 1860s, the Grimwades built the hall on the corner of Fore Hamlet and Back Hamlet, now converted to apartments as the GM Building, but known to an earlier generation of Gippeswykians as Grimwade Memorial Hall. 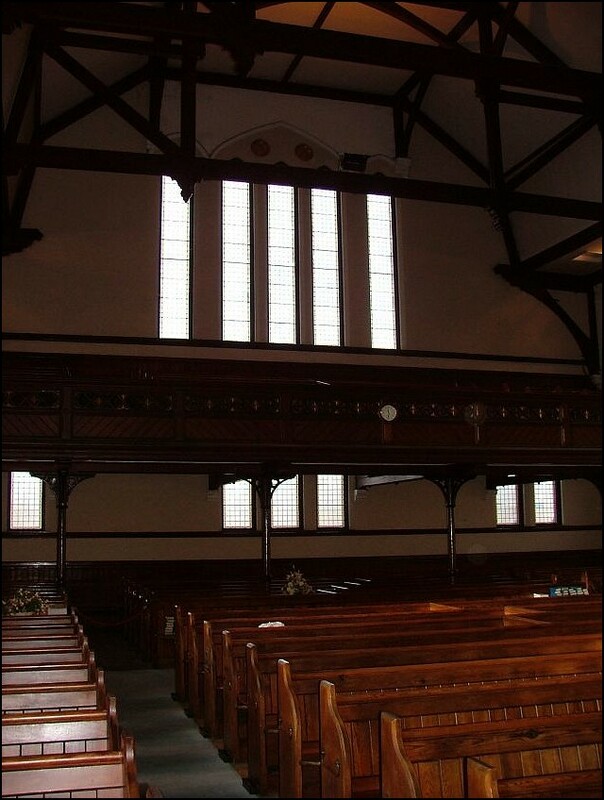 It was used for assemblies of the congregation, but was soon too small for this purpose, and so in 1887 the grand church directly across the road was built, in the full confidence of late-Victorian non-conformism. 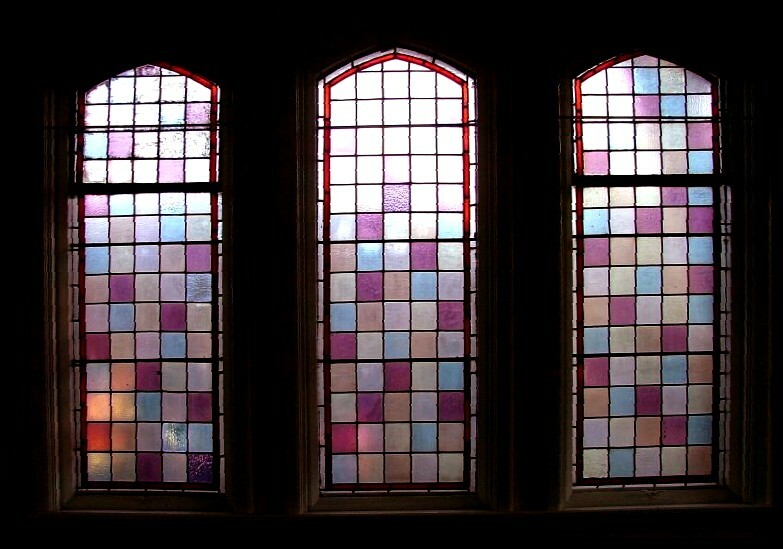 The architect was William Eade, and the Hall was built as a memorial to Edward Grimwade, who had died the previous year. This is a difficult church to get into, and so I turned up half an hour before the time that I knew a service was to take place. They could not have been more friendly and welcoming. The Pastor kindly showed me around, and she introduced me to Deacons and other members of the congregation. As you would expect, the interior is not ornate; but it is certainly grand. The roof above is constructed in the style of a traditional Suffolk hammerbeam roof, but without any ornament. It is like looking up into the body of an upturned ship. 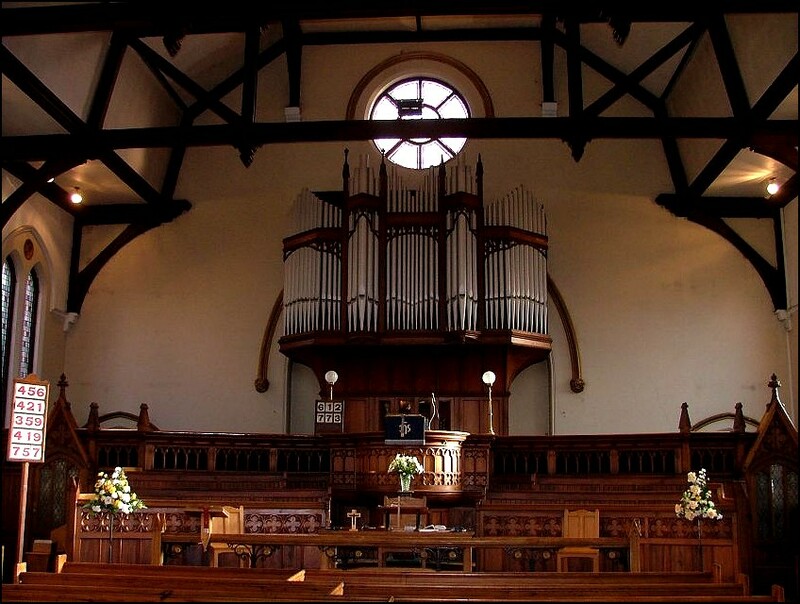 There is an elegant balcony at the west end (as often in non-conformist buildings of this period, the building is oriented 'correctly', facing east, in the manner of a Catholic church or synagogue) and the east end is filled by the towering organ, which I understand is one of the best in the town. 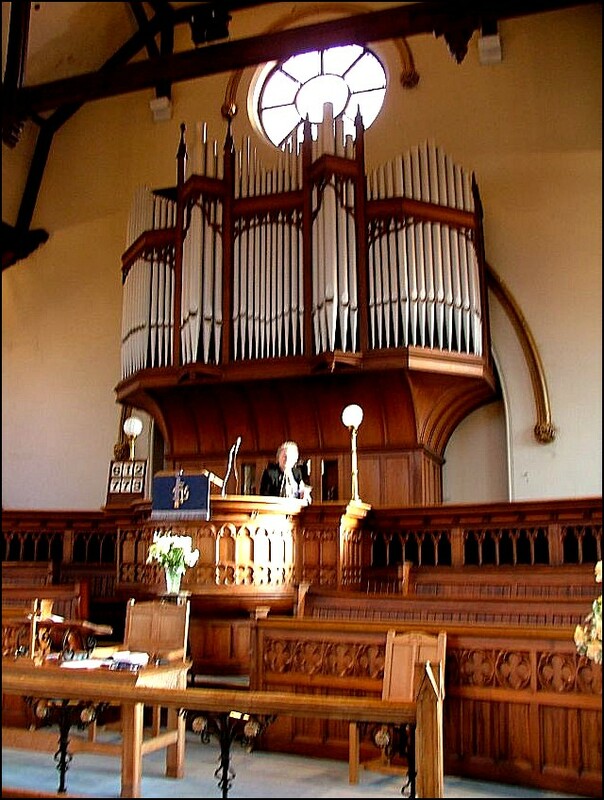 The seats face towards the rounded projection of the pulpit, and everything is seemly and ordered, perfect for congregational worship. The pulpit is backed by a screen, and behind this are the vestry and a meeting room, as well as a quiet, beautiful little chapel. It is one of the loveliest 19th century church interiors I've visited in ages. 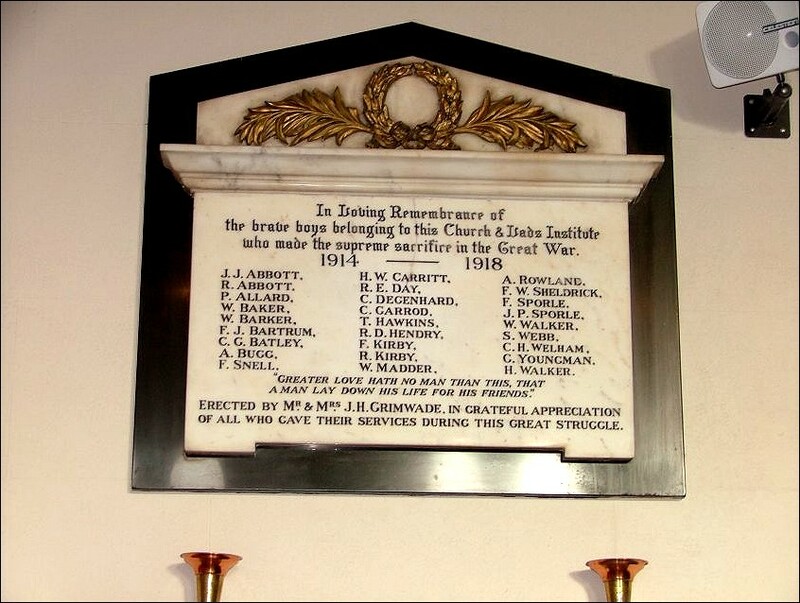 A hint of the former life of this church can be got from the war memorial, which lists no less than twenty seven men of the congregation and the associated Lads Institute who died in World War One. 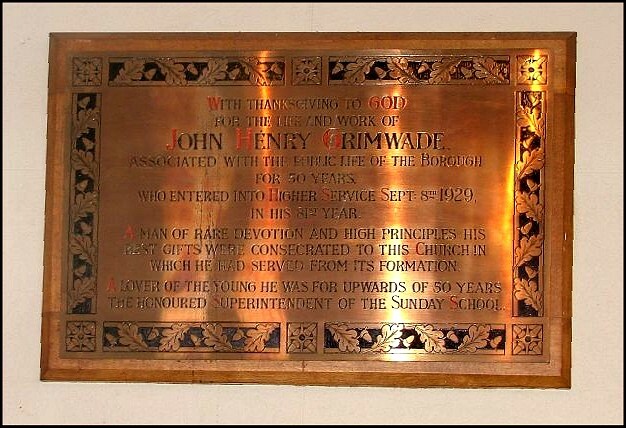 The memorial was given by Mr and Mrs JH Grimwade, and it faces across to a memorial to John Henry Grimwade himself, who entered into higher service in 1928. Grimwades store in the centre of Ipswich closed more than ten years ago now, and the face of the town is changing rapidly. But still this little corner of non-conformist tradition hangs tenaciously on. 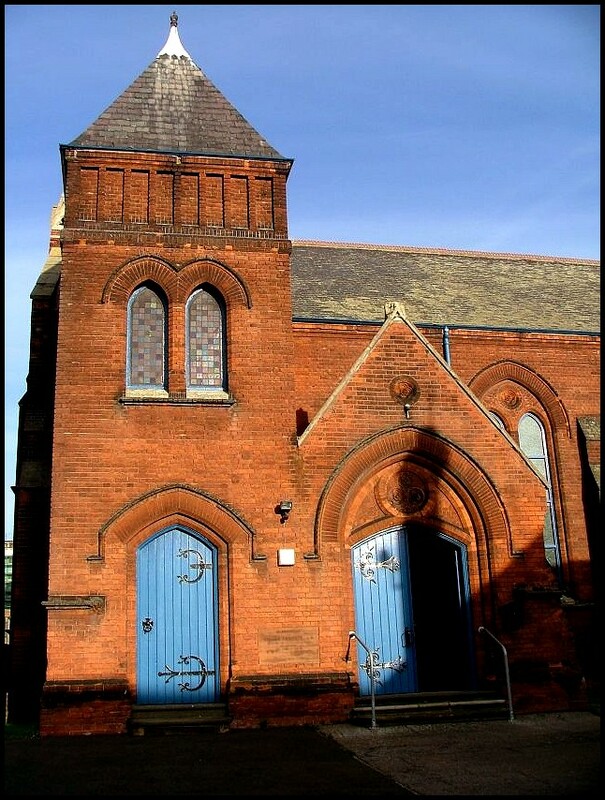 St Clement's Congregational decided not to join the new United Reformed Church in 1972, but is affiliated to the Congregational Federation, a national grouping of independent congregational churches, and is proudly today still a gathered congregation at work in the heart of the east side of town.